Our vision is delicate and can easily be affected by a number of elements, including our environment and our own health. As such, floating shapes in our vision are not an uncommon occurrence. They are almost never painful, and instead just present a disruption to vision that can be a nuisance, particularly if they occur when driving or focusing at work. However, they can also be a symptom of more serious ocular conditions, especially if they are accompanied by other vision problems such as flashes. As such, we strongly recommend that any patient who is experiencing visual disruption in the form of floaters or flashes, make an appointment to visit our experienced ophthalmologist. We are proud to offer the highest quality care and treatment for patients suffering with floaters and flashes in the Sunnyside, Queens and surrounding metropolitan New York City region. WHAT ARE FLOATERS AND VISUAL FLASHES? Have you ever been looking at something and seen a greyish shadow suddenly appear in your vision? The shadow can take the form of many things, from clouds to specks to hazy lines. Sometimes they appear in one eye, or they appear in both, but they are easiest to spot when you are looking at a plain light-colored background, such as a white wall or blue skies. Flashes usually appear as you would imagine – brief flashes of light in your vision. The appearance of these can vary from intense flashes like a torch being shone into your eyes to subtle sparkles. Floaters and flashes are typically more common in older people, particularly those in their 60s and 70s. This is because they are usually caused by changes in the vitreous gel inside our eyes. As we get older, the vitreous humor in the middle of the eyeball becomes softer, and strands of the protein collagen may appear in your line of vision. Another side effect of ageing is that the vitreous gel begins to shrink and pull away from the inside surface of the eye. This process is called vitreous detachment and when it happens, debris can begin to accumulate and clump together to cast shadows on the retina. Any shadows on the retina, regardless of how they are caused, are what manifest as the floaters that disrupt our vision. 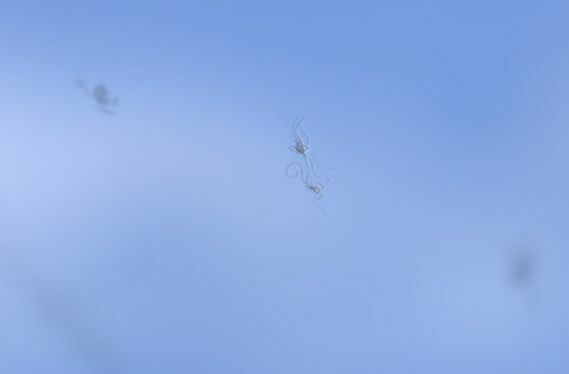 If you have had eye surgery, such as cataract surgery, you are more likely to experience floaters and/or flashes. They may also be caused by eye infections, inflammation and injury to the eye. You are also at a higher risk of seeing floaters and flashes if you suffer from diabetes, or if you are near-sighted. If you think you may be experiencing floaters or flashes, our expert ophthalmologist will be happy to diagnose you at our office. If there are no accompanying symptoms then you do not need to make a special appointment, and can just mention their occurrence at your next scheduled check-up. However, you should make an appointment immediately if your floaters/flashes are new, accompanied by pain or any other concerning symptoms, or if there is a sudden rapid increase in the number of occurrences you are experiencing. This could indicate damage to the retina, and in some cases complete retinal tears or detachment, which need to be treated immediately to prevent loss of vision. During your appointment, Dr. Michael Ahdoot will conduct a thorough examination of your eyes, including your retinas. This may require the use of eye drops to dilate your pupil fully so that the whole of your retina can be examined clearly. Generally, floaters and flashes are a normal occurrence for which there is no real treatment. However, if there is damage to your retina then this will need to be corrected as soon as possible to prevent complete loss of vision. Laser and surgical repairs can be made to successfully correct retinal tears and/or detachments. 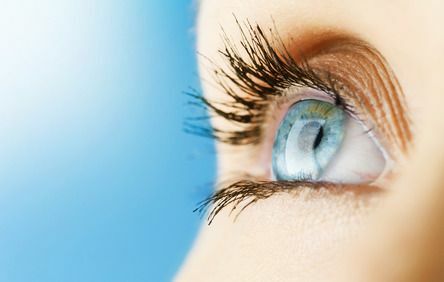 Progressive Ophthalmology offers premier care and treatment to patients in the Sunnyside, Queens and surrounding metropolitan New York City areas. Don’t suffer with interrupted vision due to floaters and flashes any longer. Make an appointment with our experienced and knowledgeable team and let us help you see clearly once again.